Cherry-wood side frame. 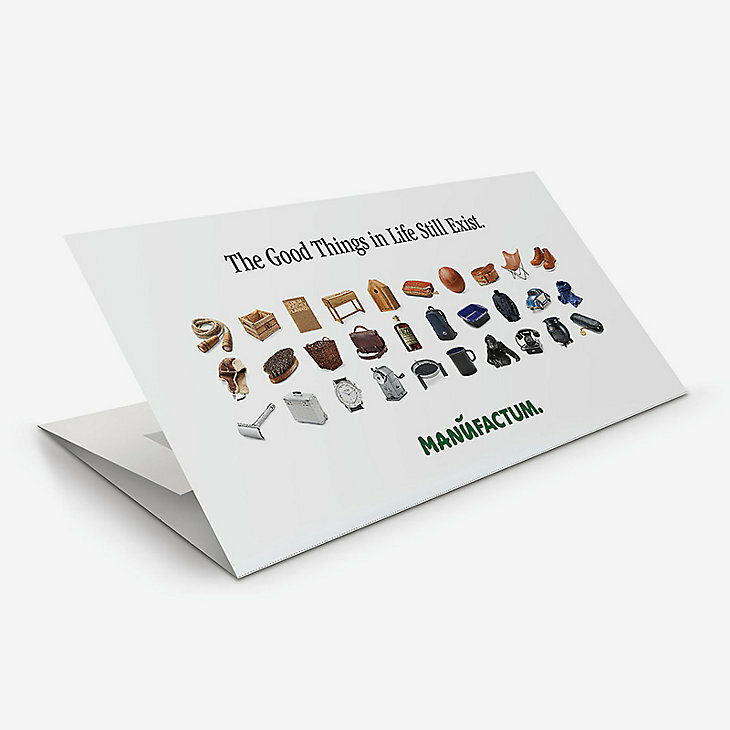 Marquetry of maple-wood (also the 30 checkers that fit into the compartments illustrated). With 4 dice and 1 doubling cube. Closed box: length 35.5 cm, width 23.5 cm, height 4 cm. Checkers Ø 2.7 cm. Weight 1 kg. Suitable for children of 8 and upwards. Caution: Not suitable for children under 3. Risk of swallowing small parts and choking. 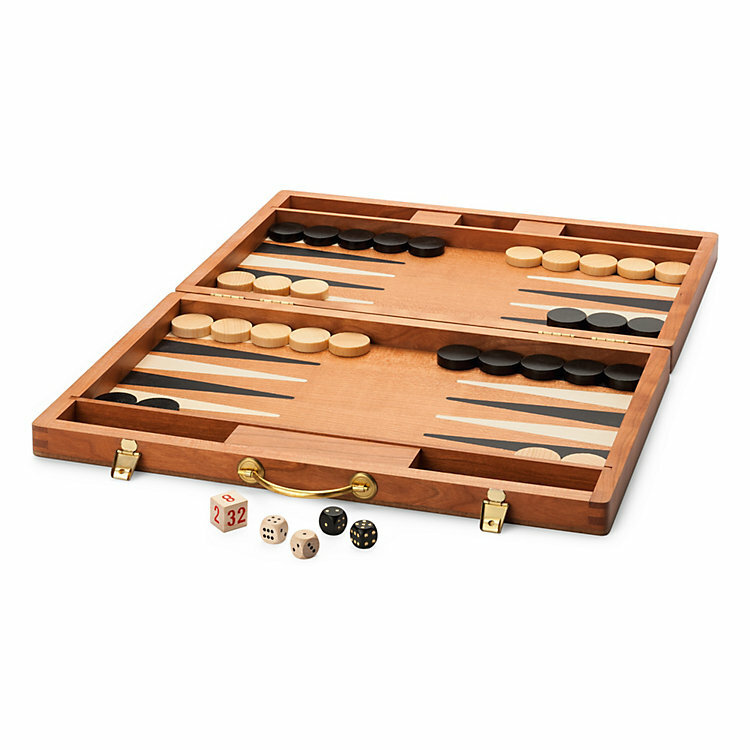 Made by the last German indoor games manufacturer that uses marquetry: in this first class backgammon set and in a compact compendium of games that comes in a travel box with magnetic playing pieces. Victory through an Organized Retreat. Backgammon is said to have originated in Greek and Turkish coffee houses called ‘Tavli’ or ‘Tavla’. The idea, as we are sure you all know, is to withdraw your own checkers from the enemy ranks unharmed, at first partially and finally completely. You’ll be impressed by the elegance of our backgammon set –which makes a favourable comparison with the sometimes garish versions in leatherette cases, with flattened dice shakers (which devotees can really do without), and in hideous colours.